A grand opening and consecration is planned for summer 2016 for both the new shedra (monastic college) at Surmang Dutsi Til monastery and the new lhakang (shrine hall), rebuilt in the wake of the 2010 Jyekundo earthquake. Although the new shedra at Surmang Dutsi Til monastery has already been in use for the Children’s Education Program since 2010, the complex has not been ready until now to host adults. 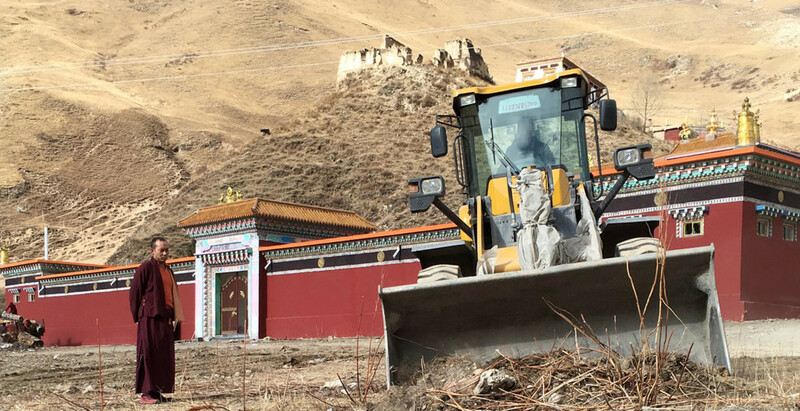 Final construction work will be completed on the Surmang Shedra this coming spring and the monastery’s new lhakang will be completed at the same time, so that the two facilities can be consecrated and opened in a single celebration planned for the summer. Following the celebration, programs for adult monastics will begin at the shedra. More information will be forthcoming in the coming months about the consecration and opening celebration. 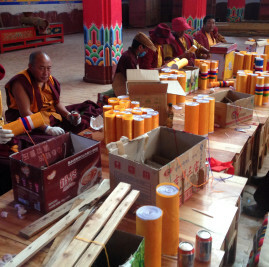 The monastery leadership and monks at Surmang are already hard at work preparing for next year’s events. It has been a productive construction season. The Surmang shedra has been structurally complete for some time, but, until this year, there hasn’t been sufficient funds to complete the many details needed to consecrate the complex and begin serving adult monastics in an ongoing shedra curriculum. Work was done this year on a water system, furniture, light fixtures and electrical work, external bathrooms, landscaping, and other items. A set of the Buddhist canon, the Kangyur and Tengyur, was purchased for the shedra shrine. Additionally, since the building has already been in use for children for the past several years, repainting of some walls, re-roofing of flat sections of the roof, and various types of minor repairs were needed. Any of this work that is not yet finished will be concluded in the spring of 2016. The construction at the shedra this year, along with other types of programmatic support, were made possible by the generous gifts from many donors to the Konchok Foundation. A large matching grant of $150,000 from the Pema Chödrön Foundation was especially instrumental. The match was completely met, which meant that all of the funds needed for the additional construction are in hand. Thanks so much to everyone who was able to contribute, including a donor who provided $78,000. The Konchok Foundation’s financial focus has now turned to supporting the forthcoming educational programs at the Surmang shedra. Your financial support is requested—if you are able to help in this way—to make possible the first year of programs for adult monastics at the Surmang Shedra, and also the continuation of the Children’s Education Program and other programs supported by Konchok Foundation. Educational programs for local children in the Surmang valley were hosted again in 2015, as they have been for a number of years now. The largest program takes place in the winter, with more than a hundred children in attendance. Continuing support for monks on retreat was also provided, as well as modest support for children’s programs at Wenchen and Kyere organized by Karma Senge Rinpoche and for living expenses of Trungpa Rinpoche. 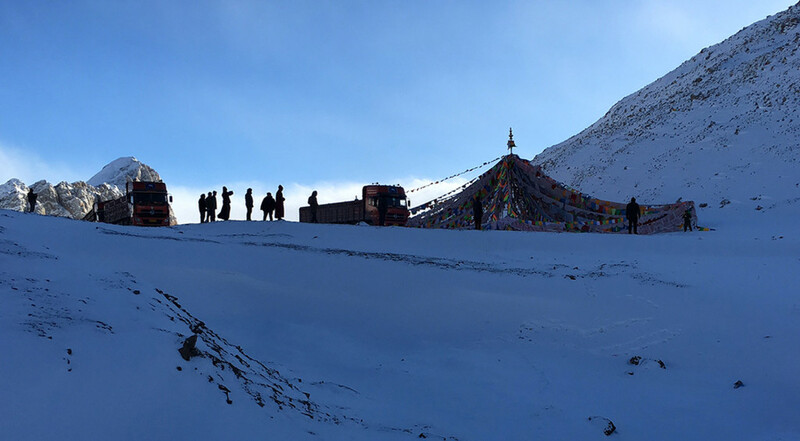 Construction activities for 2015 have now ceased due to the onset of winter at Surmang (altitude 12,500 feet). The children’s winter program will be followed by Losar (Tibetan New Year) and the monastery’s most important annual cycle of dharma practices including the Chakrasamvara dances. If you would like to make either a one-time or a recurring donation of any amount to support the Surmang shedra or Konchok Foundation’s other program activities, please visit here. Donations are tax deductible in the United States or Canada to the full extent permitted by law. Donations can be made from anywhere in the world by credit card or Paypal and also by check in the U.S. or Canada. The Konchok Foundation has no endowment and depends on the annual support provided by donors to carry out its program activities in Tibet. 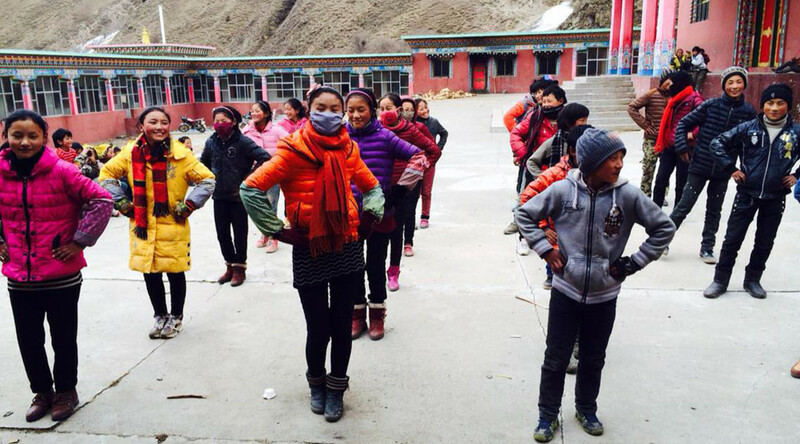 The Konchok Foundation has no paid staff, relying instead on volunteers; donations thus almost entirely go to support programs in Tibet. All of the photos in this update were provided courtesy of Surmang Khenpo.